Selling your houses for cash in El Paso, Texas - Quicksell Investors, LLC. In El Paso, Texas and in surrounding areas, there are many who are selling their houses for cash. They sell their house for the usual reasons of impending foreclosure, moving away, behind mortgage payments, cannot have the house repaired or just for the simple reason that the property is no longer wanted. The challenge is to look for individuals or companies that buy houses in that area. For those who are selling their house, you can check online for “selling houses for cash El Paso Texas” and you will find the best buyer in El Paso and the surrounding areas. We are Quick Sell Buyers! At Quick Sell Buyers, we treat the sellers with utmost care. We give the best customer service of all the buyers in El Paso, Texas. With us, you will feel the special treatment that we employ in our service because the sellers are valuable to us. We attend to your queries immediately because we understand that your time is important. We can be considered experts in this business since we have been around for almost 15 years. Our experience cannot be equaled by any other buyers. We have dealt with so many sellers in the past that we cannot help but empathize with you because we understand what you are dealing with. Our past clients serve as proof to our trustworthiness. They had given us approving feedback in regards to the experience that they had. This is the reason why we give so much effort in maintaining this trust because we believe that once trust is broken it will be so hard to regain it. There are no gimmicks, scams, commissions, messy paperwork, or hidden fees with us. Dealing with Quick Sell Buyers will give you no hassle, no worries and no more long time waiting. We only give the best service in dealing with the sellers. You do not need to think about repairing your house first before selling because we buy houses in any condition! We live up to our name, Quick Sell Buyers because once you contact us and submit the short property information we will give you a fair cash offer for your house within 24 hours. What are you waiting for? 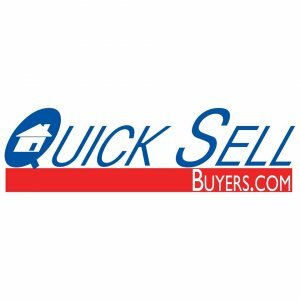 Visit our website www.quicksellbuyers.com. You may also call us at 915-593-3300 and our friendly staff will be more than happy to respond to your questions.